So how does one measure the key resource management costs? Is the balance sheet enough or does one start by measuring the cause and operational detail rather than the quarterly or annual effect to the bottomline? Is there a way to measure golfer experience and what are the key metrics? Understanding, benchmarking and developing best practice for continuous improvement are the only way to accomplish these goals. The industry needs “Innovative mitigation strategies that optimize resource consumption, while at the same time improve the playing experience for golfers” according to Jarris. 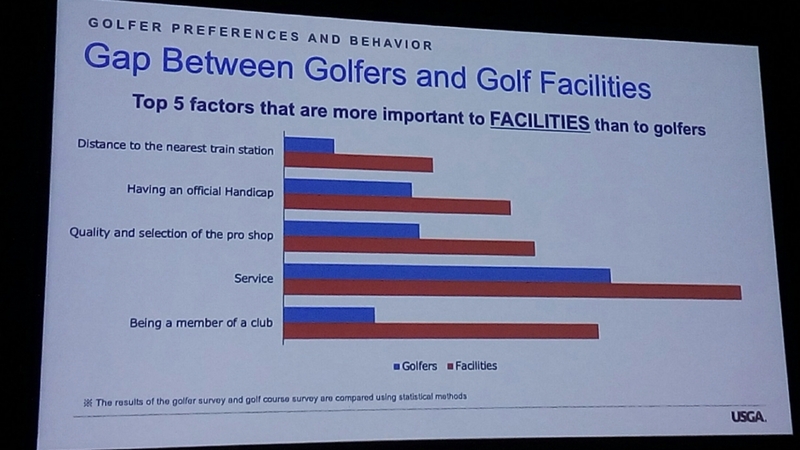 But first we need to clearly understand what drives value for the golfer and it was evident there is a disconnect between what facilities believe to be important and what players and consumers believe to be important. 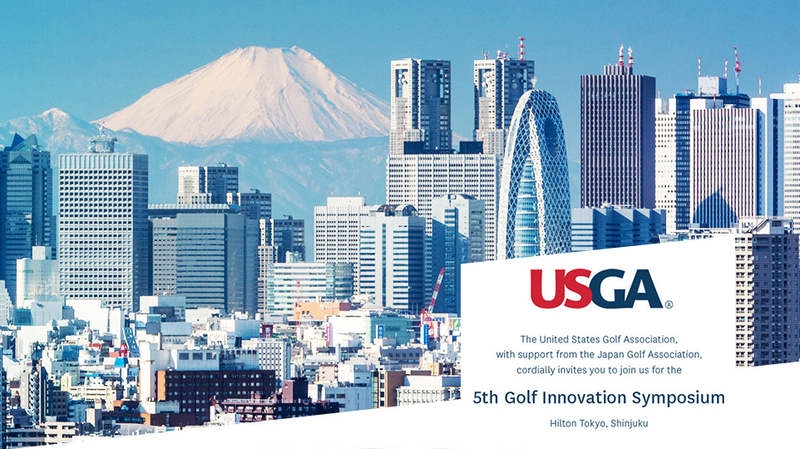 JPA and USGA-commissioned research, presented by Shigeki Mitsuishi, shows focus and importance perception gaps between players and facilities in Japan. Top player satisfaction factors are course conditioning, weather and pace of play. Low importance preference factors include: quality and offering of pro shop, being a member at a club. The facilities that align their offering and product with what the customers want are the ones that stay and get ahead of the game. Augmenting tradition and experience with a clear vision for the future, strategies involving ongoing measurement and actionable data, continuous goal setting and tracking results are the management practices needed to unlock a sustainable future. Golf needs to evolve further. Its willingness to do so will determine its future. While tradition is part of the undoubted character and charm of the game, golf has shown that it can adopt change successfully. The stakeholders who shape the game of tomorrow are the players of the future, who demand flexibility, fun, high service-delivery levels, accessibility, inclusivity and for the game to fit with their available spend budgets, and importantly pace and flow experience and time budgets. The future of golf delights its players, existing and new, it is quicker, mindful of time and a high value experience. Time to get to work! Bodo Sieber is the CEO of golf course optimization and pace of play management system Tagmarshal. An experienced solutions architect for software systems focusing on business intelligence, GIS and process optimization, he has been recognized for innovation in golf and has spoken at Golf Business Tech Con, as well as being quoted in Forbes, Golf Digest, USA Today, Compleat Golfer and PGA Magazine. With Tagmarshal, Bodo and his team have been bringing extensive data and geomatics experience into golf operations for five years. The company’s focus is on creating the best possible way to manage the on-course experience and flow of golf for improved player satisfaction and increased profitability. The concept behind what is now a ‘golf course intelligence’ data platform, perhaps unsurprisingly started on a 15th hole that had three playing groups backed up, at the end of a long, frustrating round of golf. Having collected almost 1 billion data-points, by tracking over 7 million rounds of golf, Tagmarshal add value to 8 of the top 10 US Public courses, a number of US and international top 100 private clubs with rapid adoption in the mid tier of the market.